Draft: 2007, New York Yankees, 2nd rd. Full name is Austin Allen Romine…he and his wife, Alexzandria, have two sons, Benjamin and Henry, and a daughter, Kinley...Graduated in 2007 from El Toro H.S. (Calif.), where he was named 2007 Sea View League MVP as a senior…in 2014, had his number 16 retired by the school…was rated by Baseball America as having the third-best arm strength among all high school catchers in the 2007 First-Year Player Draft...Older brother, Andrew Romine, was drafted by the Angels in the fifth round of the 2007 First-Year Player Draft and is now in the Phillies organization…with Detroit on 9/30/17 at Minnesota, Andrew became the fifth player in Baseball history to play all nine defensive positions in a single game…father, Kevin, was a former Major League outfielder, appearing in 331 games over parts of seven seasons with the Boston Red Sox from 1985-91...Was named the Yankees nominee for the 2018 "Heart and Hustle Award," presented annually by the MLB Players Alumni Association to recognize one Major Leaguer from each team who demonstrates a passion for baseball and embodies the values, spirit and tradition of the game…was his first time being named the Yankees' "Heart and Hustle Award" nominee. Hit .244 (59-for-242) with 30R, 12 doubles, 10HR and 42RBI in 77 games with the Yankees (68 starts at C)…the Yankees went 43-25 in his 68 starts at catcher...Set a single-season career high in home runs…hit 7HR over his previous six Major League seasons (563AB)…also set single-season career highs in runs scored, hits, extra-base hits (22), RBI and walks (17)...Hit .295 (18-for-61) with 3 doubles, 2HR, 30RBI, 6BB and a .361 OBP with RISP...Was 3-for-5 with 3RBI and 1BB in 4/8 loss vs. Baltimore, tying career highs in hits (seventh time) and times on base (four, second time)…had three separate RBI hits...Had a career-long 11-game hitting streak from 4/30-6/4 (.469, 15-for-32, 10R, 4 doubles, 4HR, 13RBI, 5BB)…was tied for the second-longest hitting streak by a Yankees catcher since 1994 (Jorge Posada, 15G from 5/3-20/07)...Hit 4HR over a seven-game span from 5/20-6/4 after hitting 4HR over his previous 132 games (6/4/16-5/11/18)...Homered in consecutive games for the first time in his career on 5/20 at Kansas City and 5/22 at Texas…his solo HR on 5/20 was his first since 4/29/17 vs. Baltimore...Was removed from 6/30 loss vs. Boston in the seventh inning with left hamstring tightness…caught just 3.0 innings over the Yankees' following four games (7/1-4)...Had 9RBI over an eight-start stretch from 7/9 (Game 2) - 7/26...Threw out 5-of-7 potential base stealers over an eight-game stretch from 8/5-15. 4 Was 3-for-4 with 1HR, 3RBI and 1SB in 8/10 loss vs. Texas, tying a career high in hits…became the first Yankees catcher with an HR and SB in the same game since Francisco Cervelli on 8/13/14 at Baltimore…was the first Yankees catcher with at least 3H, 1HR and 1SB in a game since Thurman Munson on 6/15/76 at Minnesota (4-for-4, 1HR and 1SB)-credit: YES Network...Was struck by a foul tip in the fifth inning of 8/18 win vs. Toronto and removed from the game in the sixth...Hit seventh-inning game-winning solo HR on 9/8 at Seattle...Made his first career pitching appearance in ALDS Game 3 vs. Boston (1.0IP, 1H, 2ER, 1HR, 1BB), becoming the second position player to pitch in a postseason game in Baseball history (also Toronto's Cliff Pennington in 2015 ALCS Game 4 vs. Kansas City)…was the first Yankees position player to pitch in any game since INF Brendan Ryan on 8/25/15 vs. Houston…surrendered the lone HR of the game…according to Elias, 48 different position players pitched in Major League games in the 2018 regular season, the most in a season in the Expansion Era (since 1961)…the Yankees were one of five clubs to not use a position player on the mound…his brother, INF Andrew Romine, has made seven regular-season pitching appearances with Detroit (2014, '16-17) and Seattle (2018). Hit .218 (50-for-229) with 19R, 9 doubles, 2HR and 21RBI in 80 games with the Yankees (58 starts at C, 4 at 1B)…the Yankees went 33-25 in his 58 starts at catcher... Hit two-run HR and had a career-high 5RBI in 4/29 win vs. Baltimore…was the Yankees' ﬁrst No. 9 hitter with at least 5RBI in a game since Joe Girardi on 8/23/99 at Texas (7RBI) and fourth since 1954 (Jim Leyritz-5RBI on 8/20/96 vs. California and Al Downing-5RBI on 6/3/66 at Boston)…a Yankees catcher has at least 5RBI in a game in each of the last four seasons (Brian McCann in 2014 and '15, Gary Sánchez in 2016 and twice in '17 - all 5RBI games)... Was removed from 5/2 win vs. Toronto prior to the top of the seventh inning with cramping in his right groin…missed the following three games (5/3-6)... Collected his 100th career hit with a fourth-inning single in 6/21 win vs. Los Angeles-AL... Was removed from 7/30 loss vs. Tampa Bay in the seventh with a bruised left hand after a sixth-inning HBP... 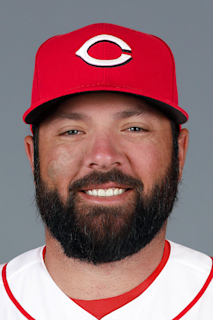 Tripled in 8/13 loss vs. Boston, his ﬁrst triple at any level since 7/28/09 w/ Single-A Tampa at Charlotte... Was 0-for-2 in 8/24 loss at Detroit before being ejected by 1B umpire Dana DeMuth in the bottom of the sixth for his involvement in ﬁght…served a one-game suspension for the incident on 9/8 at Texas... Was on the roster for all of the Yankees' three postseason rounds, his ﬁrst career postseason rosters…made his playoﬀ debut in ALCS Game 1 at Houston as an eighth-inning defensive replacement at C…made his ﬁrst career postseason start in ALCS Game 4 vs. Houston. Made his first career Opening Day roster and spent the entire season at the Major League level for the first time in his career, batting .242 (40-for-165) with 17R, 11 doubles, 4HR and 26RBI in 62 games with the Yankees (40 starts at C, 4 at DH and 2 at 1B)…hit .274 (26-for-95) with 3HR off left-handed pitching compared to a .200 (14-for-70) mark with 1HR off right-handers…batted .364 (16-for-44) with 5 doubles and 20RBI with RISP. Tied his career highs in hits (third time) and RBI (second time) in 5/7 win vs. Boston, going 3-for-4 with 2 doubles and 2RBI…was his first game with multiple extra-base hits since 7/25/13 at Texas (also 2 doubles). Started at DH and went 1-for-3 with 1 double in 5/14 win vs. Chicago-AL…was the third Yankees catcher to DH over the three-game span from 5/12-14 (also Brian McCann and Gary Sánchez)…was the first Yankees DH to bat ninth since José Pirela on 9/25/14 vs. Baltimore. Homered twice in a six-game span (5/25-6/3) after hitting just 1HR in his first 95 career games (through 5/24)…hit .345 (10-for-29) with 3R, 1 double, 2HR and 8RBI over a nine-game stretch from 5/24-6/7, hitting safely in seven of those contests…collected at least 1RBI in eight of his 13 games from 5/24-6/24 (11RBI total over the span). Hit ninth-inning pinch-hit solo HR in 5/25 loss vs. Toronto, his first career Yankee Stadium HR…snapped a 105AB homerless stretch (first since 8/4/13 at San Diego)…was his first career pinch-hit HR and the first by a Yankee since Carlos Beltran's three-run HR on 8/14/15 at Toronto. Made his third appearance and second Major League start at 1B on 5/26 vs. Toronto (also started on 10/3/15-G1 at Baltimore). Left 6/4 win at Baltimore in the top of the ninth after sufiering a bruised left thumb trying to catch an Aroldis Chapman warm-up pitch. Doubled and homered in 7/5 win at Chicago-AL, setting a career high with six total bases. Hit solo HR in 8/11 win at Boston…was his first career HR at Fenway Park, where his father, Kevin Romine, hit four of his five career HR…was his fifth career home run, tying father, Kevin, and brother, Andrew (Andrew hit career HR No. 6 in September 2016 to break the tie). Made his season debut-and only Major League appearance of the year-in 10/3 Game 1 loss at Baltimore, starting at 1B and going 0-for-2...was his first career Major League start-and second appearance-at first base...was selected to the Yankees' active roster from Triple-A Scranton/Wilkes-Barre on 9/1...In 92 games with the RailRiders, hit .260 (88-for-338) with 38R, 19 doubles, 7HR and 49RBI...primarily appeared at C and DH, but played in 10 games at 1B from 8/11-31...was named to the International League Mid-Season All-Star team after hitting .270 (65-for-241) with 34R, 16 doubles, 6HR and 35RBI before the break...Had a 19G hitting streak with Scranton/WB from 6/5-7/3, batting .377 (29-for-77) with 10R, 6 doubles, 3HR and 16RBI over that span...had a career-high 6RBI on 6/18 at Rochester...Entered spring training on the Yankees' 40-man roster, but was designated for assignment on 4/4...cleared waivers and was outrighted to Scranton/WB on 4/8...hit .171 (6-for-35) with 2R and 1 double in 19 spring training games. Hit .231 (3-for-13) with 2R, 1 double and 1RBI in seven games (one start at C) overthree stints with the Yankees (4/5-8, 8/9-16 and 9/6-28)... Was 0-for-2 in 9/12 Game 2 loss at Baltimore before being removed for PH (Prado)in the eighth…was his ﬁrst plate appearance after being recalled from Scranton/WB on 9/6…did not play in the Yankees' next 13 games from 9/13-25... With wife, Alexzandria, welcomed the birth of their second child, Kinley Elizabeth,on 9/19... Pinch-hit and doubled for Gardner in the seventh inning of 9/28 win at Boston…remained in the game at 1B, marking his ﬁrst Major League appearance at the position... Spent the majority of the season with Triple-A Scranton/Wilkes-Barre, batting .242 (69-for-285) with 33R, 17 doubles, 6HR and 33RBI in 81 games…saw time at catcher, ﬁrst base and designated hitter…hit .308 (4-for-13) with 1 double and 10 RBI with the bases loaded for the RailRiders. Batted .207 (28-for-135) with 15R, 9 doubles, 1HR and 10RBI in 60 games (43 starts at C) with the Yankees… caught 394.1 innings, the most by a Yankees rookie since Jorge Posada in 1997 (479.1 innings)... Was recalled from Triple-A Scranton/Wilkes-Barre on 4/27 when Francisco Cervelli was placed on the 15-day D.L... Collected his first career Major League RBI in 5/13 Game 2 win at Cleveland... Recorded his first career multi-hit game in 5/17 win vs. Toronto, going 2-for-3 with 1R, 1 double and 1RBI... Started five consecutive Yankees games at catcher from 5/17-22 with Chris Stewart sidelined with a strained left groin… became the first Yankees rookie to start at least five straight games behind the plate since Jorge Posada started 11 in-a-row from 9/5-16/97... Hit .400 (16-for-40) with 6R, 5 doubles, 1HR, 4RBI and 6BB over a 14-game stretch from 7/11-8/20... Established a career high with 3H in 7/25 win at Texas, going 3-for-4 with 1R and 2 doubles… tied the mark in 8/20 Game 2 win vs. Toronto... Hit his first career Major League home run-a solo shot in the seventh inning-in 8/4 loss at San Diego... Set a career high with 2RBI in 9/2 win vs. Chicago-AL, going 1-for-4 with 1R... Missed the Yankees' final 17 games of the season (9/11-29) with a mild concussion… suffered the injury in 9/10 win at Baltimore, taking a foul ball off his mask and leaving the game in the bottom of the eighth inning with concussion-like symptoms... In 14 games with Scranton/WB, hit .333 (14-for-42) with 5R, 1HR, 4RBI and 4BB… caught 7-of-15 (46.7%) potential base stealers with Scranton/WB. Missed the majority of the season on the disabled list with a lower back strain...Combined to play 31 games, the majority of which came on a Minor League rehab assignment, with the GCL Yankees, Single-A Tampa and Triple-A Scranton/WilkesBarre...hit .243 (25-for-103) with 11 Rs, 5 doubles, 4 HRs and 15 RBIs...Was sidelined with the back injury on the first week of Spring Training and opened the season on the 15-day disabled list...was transferred to the 60-day DL on 5/12...began a rehab assignment on 7/13...was returned from rehab and reinstated from the DL on 8/22...Played with Scottsdale in the Arizona Fall League after the season, batting .222 (14-for-63) with 4 doubles, 12 BBs and 6 RBIs...Following the season, was tabbed by Baseball America as the organization's "Best Defensive Catcher." Hit .158 (3-for-19) with 2R in nine games (four starts at C) with the Yankees as a September call-up...Was signed to a Major League contract and selected to the Yankees' active roster from Triple-A Scranton/Wilkes-Barre on 9/11...made his Major League debut that day at Los Angeles-AL, entering the game as a defensive replacement at catcher in the seventh inning (did not bat)...teammate Jesus Montero also made his catching debut that day (starting at the position), marking the first time in Yankees historythat two players each made their first career appearance at catcher in the same game...was the first time for any Major League team since Boston's Gary Allenson and Mike O'Berry on 4/8/79 at Cleveland (credit: Elias)...Made his first Major League start (at catcher) in 9/12 win at Seattle, going 1-for-4 with 1R...collected his first Major League hit with a seventh-inning single off Dan Cortes...Spent the majority of the season with Double-A Trenton, batting .286 (96-for-336) with 43R, 13 doubles, 6HR and 47RBI in 85 games...was named to the Eastern League midseason All-Star team...caught 23.9% (27-for-113) of potential base stealers with Trenton, ranking seventh in the league in caught stealing percentage...Represented the Yankees on the U.S. Team in the 2011 XM Futures All-Star Game on 7/10 at St. Louis, going 2-for-2 with 1R and 1RBI, driving in the go-ahead run in the 6-4 U.S. victory...Was promoted on 9/2 to Scranton/WB where he appeared in 4G and hit .133 (2-for-15)...Attended spring training as a non-roster invitee with the Yankees, batting .217 (5-for-23) with 3R, 1 double, 2HR and 2RBI in 15 games...Following the season, was tabbed by Baseball America as the Yankees' eighth-best prospect and as the organization's "Best Defensive Catcher." Was named the Yankees "Minor League Player of the Year" and Topps Florida State League "Player ofthe Year," batting .276 with 28 doubles, 13HR and 72RBI in 118 games for Single-A Tampa... tied his career high in hits (122) and established career highs in doubles and RBI... led the team in hits and doubles, tied for the team lead in homers, and ranked second in games played,runs scored and RBI... ranked fourth in the league in RBI and tied for fourth in both doubles and extra-base hits (44)... did not go more thanthree straight games without recording a hit and went hitless in three straight contests just once (both games of a doubleheader on 4/15and 4/16)... was named to the midseason and postseason FSL All-Star teams... following the season, played in four games for the SurpriseRafters of the Arizona Fall League, batting .400 (6-for-15) with 2R and 2RBI. Batted .300 with 66R, 24 doubles, 10HR and 49RBI in 104 games with Single-A Charleston... ranked second on the team and third among Yankees minor leaguers in batting average... recorded 35 multi-hit games, including 12 games with at least 3H and four contests with four hits... batted .517 (15-for-29) with six multi-hit contestsfrom 4/12-20... was placed on the D.L. from 4/23-5/22 with a right groin strain... played for the Waikiki BeachBoys in the Hawaii WinterBaseball League after the season, hitting .208 (11-for-53) with 8R, 4 doubles and 4RBI in 17 games... was named by Baseball America as thefourth-best prospect in the Yankees organization following the season... attended spring training as a non-roster invitee, but did not appearin a game. Made his professional debut, appearing in one game-the season finale-with the GCL Yankees, going 1-for-2 with 1RBI as the DH... doubled in his first at-bat... after signing, reported to the Dominican Republic to take part in an instructional league. September 9, 2017 New York Yankees activated C Austin Romine. September 8, 2017 C Austin Romine roster status changed by New York Yankees. October 7, 2015 New York Yankees activated C Austin Romine. October 6, 2015 New York Yankees reassigned C Austin Romine to the minor leagues. September 1, 2015 New York Yankees selected the contract of C Austin Romine from Scranton/Wilkes-Barre RailRiders. July 26, 2015 Scranton/Wilkes-Barre RailRiders activated C Austin Romine from the 7-day disabled list. July 18, 2015 Scranton/Wilkes-Barre RailRiders placed C Austin Romine on the 7-day disabled list. April 8, 2015 New York Yankees sent C Austin Romine outright to Scranton/Wilkes-Barre RailRiders. April 4, 2015 New York Yankees designated C Austin Romine for assignment. September 6, 2014 New York Yankees recalled C Austin Romine from Scranton/Wilkes-Barre RailRiders. August 17, 2014 New York Yankees optioned C Austin Romine to Scranton/Wilkes-Barre RailRiders. August 9, 2014 New York Yankees recalled Austin Romine from Scranton/Wilkes-Barre RailRiders. May 23, 2014 Scranton/Wilkes-Barre RailRiders activated C Austin Romine from the 7-day disabled list. May 15, 2014 Scranton/Wilkes-Barre RailRiders placed C Austin Romine on the 7-day disabled list. April 9, 2014 New York Yankees optioned C Austin Romine to Scranton/Wilkes-Barre RailRiders. April 5, 2014 New York Yankees recalled Austin Romine from Scranton/Wilkes-Barre RailRiders. March 25, 2014 New York Yankees optioned C Austin Romine to Scranton/Wilkes-Barre RailRiders. April 27, 2013 New York Yankees recalled Austin Romine from Scranton/Wilkes-Barre RailRiders. March 16, 2013 Austin Romine assigned to New York Yankees. March 11, 2013 New York Yankees optioned Austin Romine to Scranton/Wilkes-Barre RailRiders. October 19, 2012 New York Yankees recalled Austin Romine from Scranton/Wilkes-Barre Yankees. August 22, 2012 New York Yankees optioned Austin Romine to Scranton/Wilkes-Barre Yankees. August 7, 2012 Tampa Yankees sent C Austin Romine on a rehab assignment to Scranton/Wilkes-Barre Yankees. August 4, 2012 Austin Romine assigned to Tampa Yankees. July 26, 2012 sent C Austin Romine on a rehab assignment to Tampa Yankees. July 13, 2012 sent C Austin Romine on a rehab assignment to GCL Yankees. May 12, 2012 Austin Romine roster status changed by New York Yankees. April 4, 2012 New York Yankees placed C Austin Romine on the 15-day disabled list retroactive to March 26, 2012. Lower back strain. October 7, 2011 New York Yankees activated C Austin Romine. September 30, 2011 New York Yankees reassigned C Austin Romine to the minor leagues. September 11, 2011 New York Yankees selected the contract of C Austin Romine from Scranton/Wilkes-Barre Yankees. September 2, 2011 Austin Romine assigned to Scranton/Wilkes-Barre Yankees from Trenton Thunder. August 16, 2011 Austin Romine roster status changed by Trenton Thunder. August 5, 2011 Trenton Thunder placed C Austin Romine on the 7-day disabled list. July 14, 2011 Trenton Thunder activated C Austin Romine from the temporarily inactive list. July 9, 2011 Trenton Thunder placed C Austin Romine on the temporarily inactive list. June 24, 2011 Trenton Thunder activated C Austin Romine from the 7-day disabled list. June 6, 2011 Trenton Thunder placed C Austin Romine on the 7-day disabled list. February 11, 2011 New York Yankees invited non-roster C Austin Romine to spring training. August 31, 2010 Austin Romine assigned to Phoenix Desert Dogs. July 15, 2010 Trenton Thunder activated C Austin Romine. July 11, 2010 Trenton Thunder placed C Austin Romine on the reserve list. June 6, 2010 Austin Romine roster status changed by Trenton Thunder. April 5, 2010 C Austin Romine assigned to Trenton Thunder from Tampa Yankees. February 8, 2010 New York Yankees invited non-roster C Austin Romine to spring training. October 24, 2009 Surprise Rafters reassigned C Austin Romine to the minor leagues.